The September 2016 issue of Bike magazine is now available on newsstands, both print and digital, and we’ve taken this opportunity to salute some of mountain biking’s noteworthy mavericks. Why? Because we humans spend too much of our lives being told all the things we shouldn’t do. From the cradle to the grave, we’re subjected to a constant barrage of warnings and prohibitions. Though many of these admonitions are rooted in general concerns such as public safety or basic social conduct, all too often they’re targeted at the lowest common denominator, with a view toward keeping us ambling slowly along with the sprawling herd of humanity. They’re the verbal equivalent of the stones hurled from a shepherd’s slingshot, bouncing off our backs every time we get out of line. But mountain bikers are not sheep, and we can’t be forced to fall in line. We know that the first seeds of mountain biking were sown by free-spirited people looking to have fun riding modified cruisers through the forest as fast as they could. And we recognize that the progression of our sport is continually fueled by those who go against the grain—by the outliers who constantly chip away at the boundaries acknowledged by the silent, unquestioning majority. 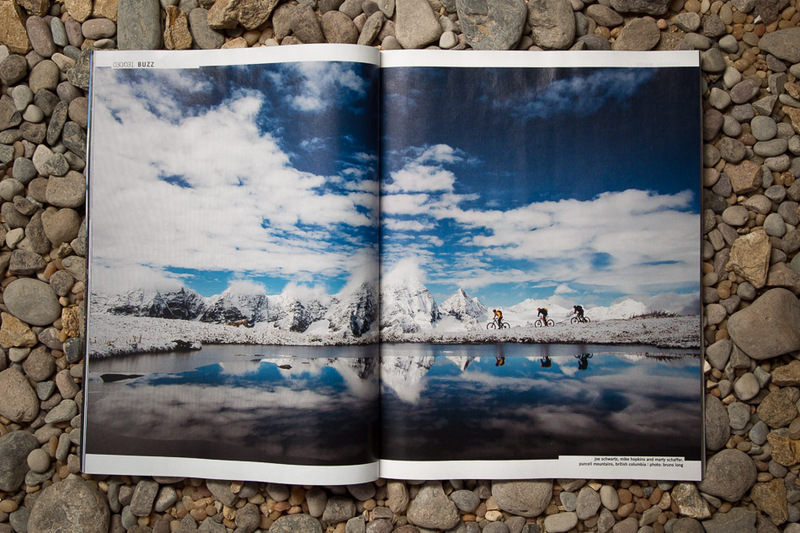 With this firmly in mind, we bring you our latest issue, a tribute to mountain biking’s indomitable soul. One such maverick is Ben Bishop, the 49-year-old trailbuilder who has spent the past two decades toiling to keep alive the inaugural Olympic mountain-bike racecourse in Atlanta, Georgia. 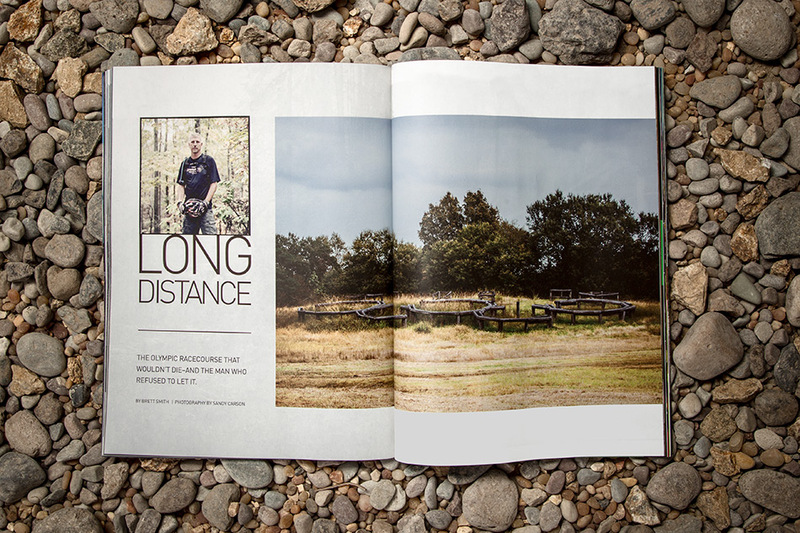 In “Long Distance,” we examine the struggles that Bishop has faced along the way, including opposition from the local chapter of the region’s largest and most influential trail organization. 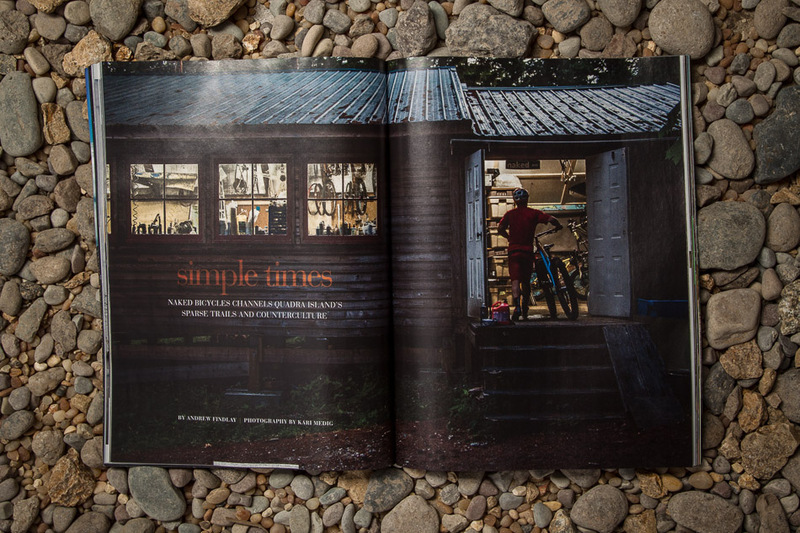 In “Simple Times,” we visit British Columbia’s secluded Quadra Island, where a peculiar mix of hippies, rednecks and visionary bike enthusiasts coexist within an ever-expanding network of pristine singletrack. At the island’s countercultural core is Sam Whittingham, the straight-talking owner of Naked Bicycles and Design who for years held the world bicycle speed record. 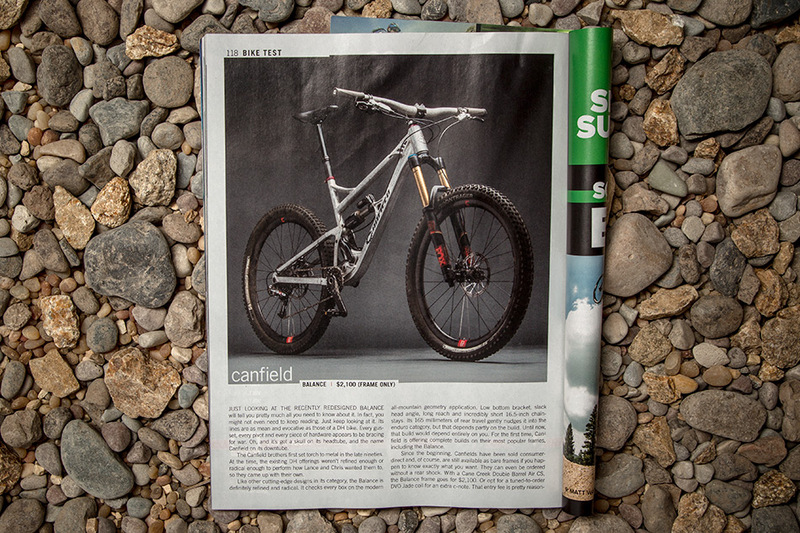 Just looking at the recently redesigned Canfield Balance will tell you pretty much all you need to know about it. Just keep looking at it. Its lines are as mean and evocative as those of a DH bike. Every gusset, every pivot and every piece of hardware appears to be bracing for war. Oh, and it’s got a skull on its headtube….